My favorite things about the Yorktown Victory Center were the immersion type displays. 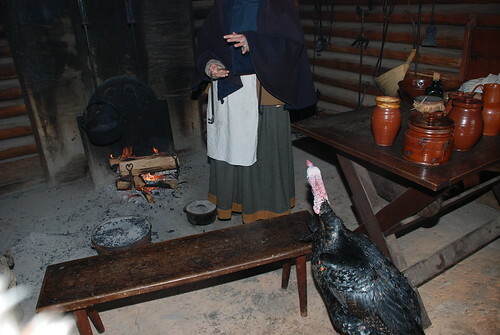 Clearly, this turkey wasn't afraid of losing his head. 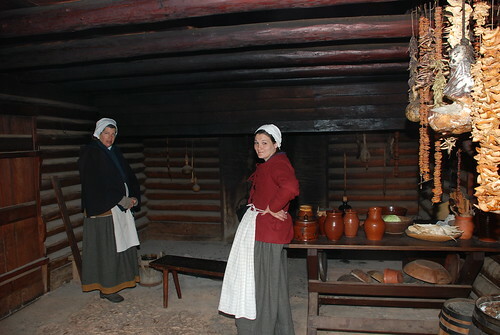 Below, a recreated, successful Virginia farm during the pre-revolution/revolution era. 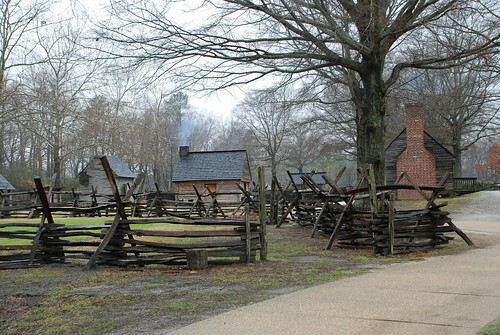 My ancestors were successful Virginia farmers (Not wealthy, but successful, according to documentation my family has). As I walked up to the farm, I imagined myself walking up to the S. farm. The house was modest, single room building with a loft. The lady of the house was de-seeding cotton... looked like quite the tedious chore. One one side of the room was the dining/work area, on the other was the bed. 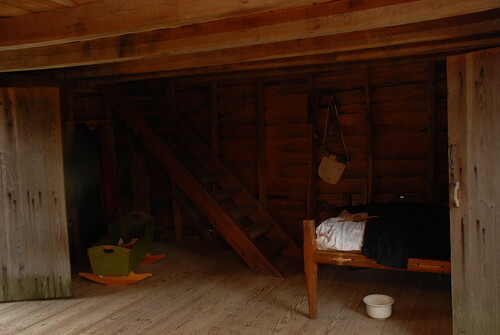 If there were additional children, they probably slept above in the loft. 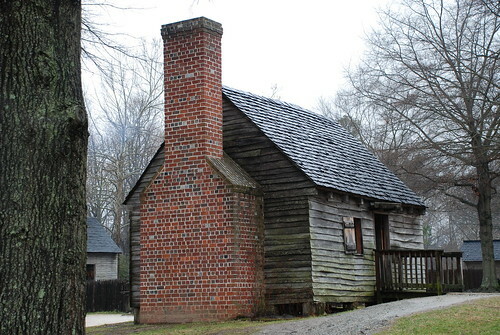 This "family" had a separate building that served as the kitchen. 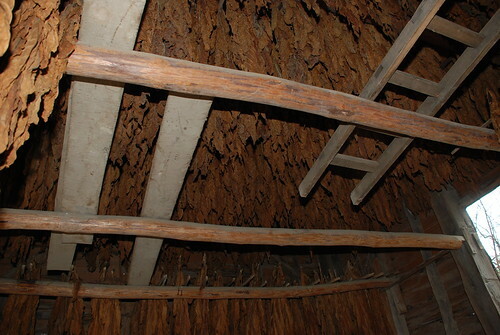 The barn was full of drying tobacco. Looks like they had a bumper crop, the barn rafters were full. 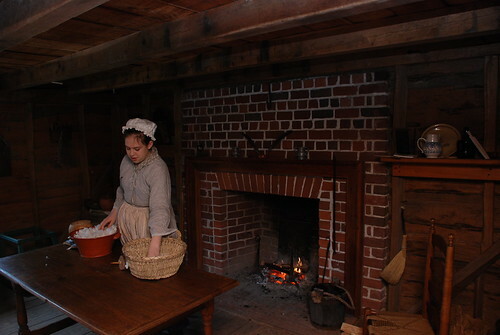 Most households grew their own fruits and vegetables. 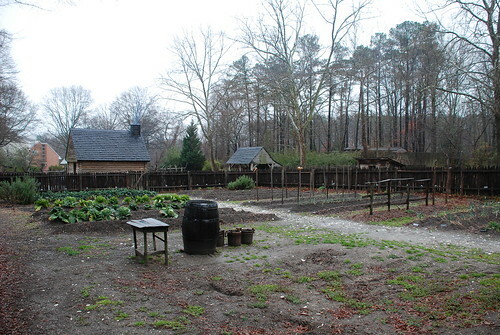 This is the vegatable garden.